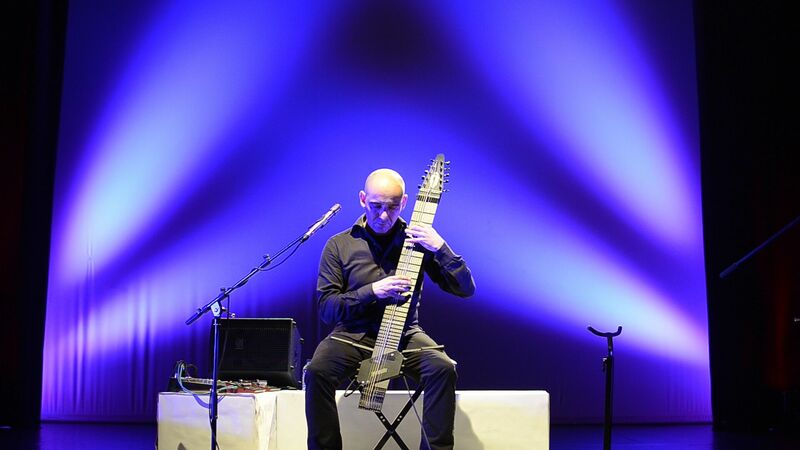 A professional bassist for over 20 years, Rodrigo Serrao has taken to The Stick with intriguing speed. Aided by his experience playing and composing on the piano, he has developed a playing style with each hand crossing over all the strings to play the entire instrument, exploiting the unified sound offered by the Railboard and it's new R-Block™ pickup, — beautifully interwoven tapestries of sound emerging. 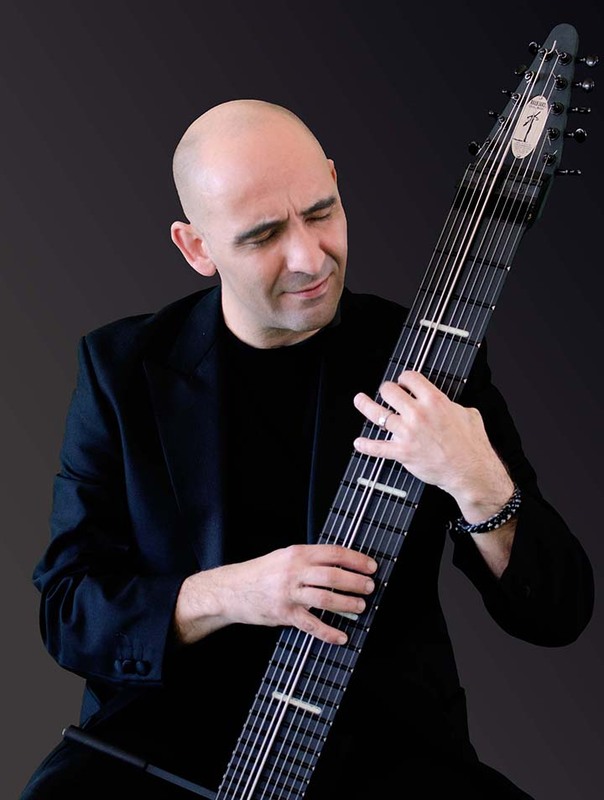 Rodrigo performs and records as an instrumental soloist, accompanies other singers, and adds own vocals as well, equally comfortable in jazz and Fado, pop and world music, Celtic and classical styles. His second CD, Love and Other Stories will be releaed soon. We corresponded by email. Meet Rodrigo! Greg: You only started playing The Stick recently, but you have already developed a very fluid style and a strong voice on the instrument. What instruments did you play before, and how did it translate to this new instrument? Rodrigo: Thank you Greg. I've been a double bass player for 25 years but I would have to say that one of the main things that attracted me on the stick was the possibilities it offered beyond what I could already do. That meant that the argument, "the Stick is it's own instrument", really appealed to me and it only made sense if I could approach it, technically and creatively, as something completely different than what I was used to do on the bass. On the other hand, I've been composing on piano since I was a child, and that limited experience translated very well. The Stick offered the best of both worlds: the versatility of the keyboard combined with the feel of strings. Greg: What was it about the Railboard that appealed to you? Was this your first Stick? Did you have a chance to try a Railboard before you got yours? What has surprised you about it? Rodrigo: I have to confess that, at the time and without the chance to try any of the different available models, what appealed about the Railboard was the price (it was the least expensive) and the fact that Emmett referred to it somewhere as a "Stick on Steroids". I figured that, if it was good enough for him, it was surely good enough for me. At the same time I was asking around if there were any Stick players willing to let me try theirs. Eventually I met Boaz online and, taking advantage of a gig I had in Israel, I tried his wooden 10 string for a few minutes. It was enough for me: that same day I called SE and ordered my first stick - a black Railboard. Greg: What has surprised you about it? Rodrigo: At the risk of sounding a little presumptuous, it was the physical recognition. Meaning, having only the theoretical knowledge of how to play it, it felt good to hold the instrument and feel the strings beneath the fingers since the first moment - that was surprising and a statement to the quality of the whole concept and the construction itself. Apart from all the musical aspects inherent to a musical instrument, there is a physical recognition that tells us we belong there.... something I hadn't experienced since I started playing the double bass. Everything else was surprising as you'd expect in any learning process: from the immense musical potential to the wisdom behind the inverted 5th's tuning. It wasn't until I got my padauk Grand Stick that I started to understand and value the differences from one model to the other. These days I still prefer the Railboard for solo pieces: everything from the tone to the height (and therefore response) of the strings feels truly perfect for what I do. The 12 string I use mainly for vocal accompaniment and specific instrumental pieces. Each instrument’s unique tone and response offers such different sonic opportunities that for this second album I’m composing specifically for one or the other. Greg: Your music straddles many different styles, jazz, folk, classical, how do you describe it to someone for the first time? Rodrigo: I think the best way to describe it would be “music rooted in Portuguese cultural tradition” viewed thru the lenses of the Stick’s unique potential. What this tradition means, historically speaking, is that it has it’s origins in the convergence between European and North African music, denying no influence but forcing everything to be led by a longing poetic feel. 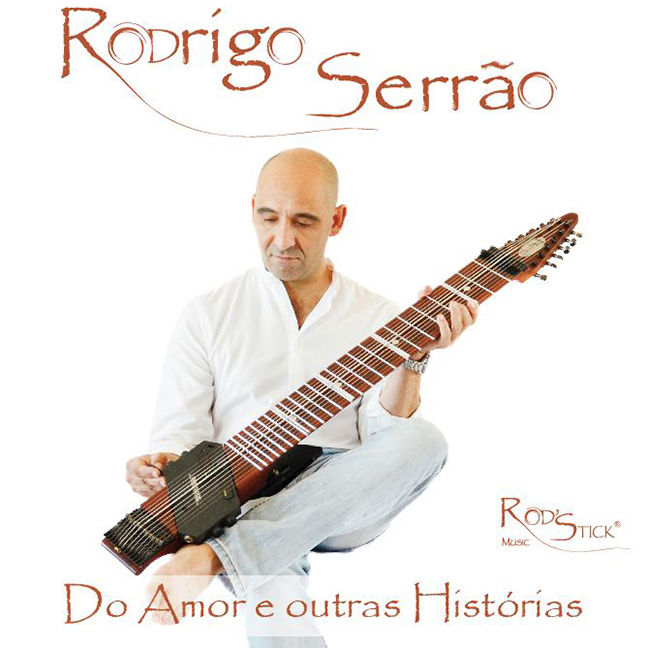 Rodrigo's debut CD recording was released in 2017, featuring mostly solo Stick originals, traditional Irish and Welsh tunes and arrangements familiar Classical melodies. Two of the selections feature vocals, including a beautiful rendition of "Ave Maria", sung by Maria Ana Bobone, a popular Fado singer. Check it out on ReverbNation. Greg: Tell me about your current and future projects? Rodrigo: Everything revolves around The Stick these days so current kind of blends with future as learning the instrument assumed the role of “life’s project”. Either way, I’m finishing writing and arranging for the second album, combining instrumental with vocal songs. At this stage I've also abandoned piano as a tool so I guess the stick has become central in all the arrangements and studio productions I do. I will forever continue to work as a bass player but eventually I would like to see The Stick in the Concert Hall so, maybe in the near future, have something ready to perform with an Orchestra. Greg: What's your performance schedule for the next two months? Rodrigo: Too busy with not enough days left for practice, that's for sure lol. I'm starting year two of the national tour so I will basically be performing with the Stick throughout the country every weekend, with a couple of exceptions for some bass gigs with singers I've worked with for many years. Will also get a chance to be one of the soloists (on bass), playing Fado with the Qatar Philharmonic Orchestra next month which is always fun. Greg: How is the transition from 4ths to 5ths for your left hand, are there any similarities with movement in the bass, for example..? Rodrigo: The transition has not been that complicated. The hardest part was not the new tuning but the reduction in overall strength necessary for the left hand to operate. Not having any experience with that on the right one, the problem didn’t arose but I did have to reeducate my left hand. If I’m playing a melody, a bass line or a scale then I work on a single string mind set (like soloing with just one string) and there comes to my aid your vision and my experience in the double bass. Although the technique is quite different and for different purposes, in the double bass we also only work with 3 fingers (the ring one being too week is always together with the pinkie) and that forces the hand to change position a lot more often. In the Double bass there is no other way to do it but in the Stick, in my personal opinion and as you so well know, increases exponentially the tone control and speed in scalar passages. If I’m playing chords then the mind set is the usual “position lock”, "vertical view", one finger per fret, that all 4ths tuning instruments use.